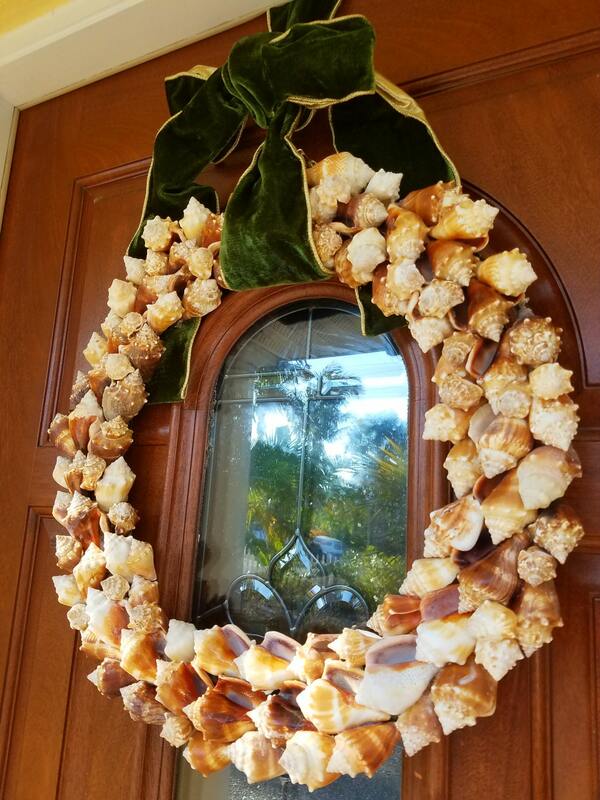 This elegant, large seashell wreath is comprised exclusively of beautiful Florida Fighter Conchs. This piece has 3 to 4 rows of shiny specimens, layered on a tiered, wire base; creating my 3 dimensional, signature design. All seashells have been personally collected from my private island barrier island beach in Southwest Florida. This is a versatile piece that can adorn a stately, front door as easily adding a statement, focal point to an indoor wall or door. From British Colonial to Key West Beach House, the design of this wreath is sure to please the most discerning, decorative eye. It measures just over 20" in diameter and all the shells are relatively uniform in color and size. A Wreath holder is included with purchase, however, is not limited to hanging using the over door hanger or can be hung conventionally. This Wreath is accented with a high quality, designer 4" hunter green velvet ribbon that reverses to rich gold. It is sturdy, will not bend with the weight and remain shiny as it has been treated with a clear sealant to protect from the elements. Please be aware, if placed in direct sunlight (particularly in zones of strong, UV rays), extra sealant should be applied periodically to avoid fading. 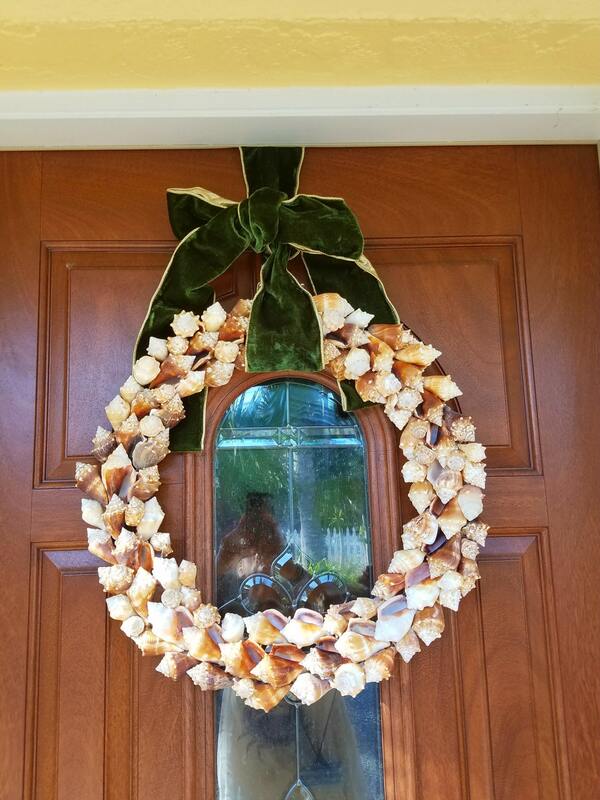 This Wreath can be customized using alternatives shells, size and ribbons. Available seashell choices are including but not exclusive to: Scallops, Spiny Jewel Boxes, Olive Shells, Cockles or a combination of all of the above. Final cost of Wreath and shipping charges contingent on choices. Please message me with any personal design consultation.